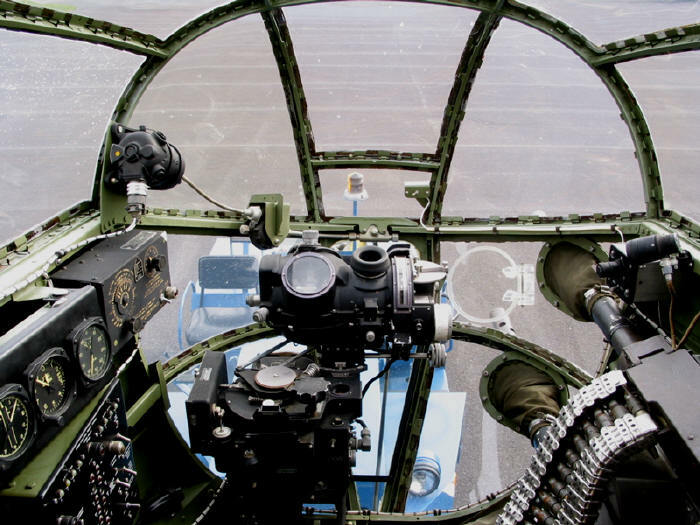 The important role of the crews of the North American B-25 Mitchell of the Royal Air Force during the Battle of the Bulge is most of the time ignored. The Mitchell's boys smashed the German logistic centers during the battle. The flak was heavy. Gaston Mertens was killed over Manderfeld on 1/13/1945. The missions were performed in awfully difficult circumstances but they did the job. - Colonne de camions militaires américains sur une route aux environs de BASTOGNE - Panneau indicateur de cette ville à un croisement - Plusieurs plans du convoi - Escadrille d'avions alliés en vol - Divers plans du bombardement des environs de BASTOGNE par l'aviation alliée : chapelets de bombes, explosions au sol, bombardiers en vol - Plusieurs plans d'une escadrille d'avions de transport parachutant du matériel - Plusieurs plans des soldats américains échappés de BASTOGNE (lors de son encerclement par les allemands) marchant dispersés, puis posant, en groupe, le visage noirci à leur retour dans les lignes alliées. My channel is a NON PROFIT channel dedicated to Remembrance of the WW2 allied soldier. "RAF Warfront." 1 January 1945: B25 Mitchells shown in action; while returning their pilots are told not to land at their usual airfields. Film of wrecked Mitchells etc. on airfield in Belgium/Holland sector following German attack. 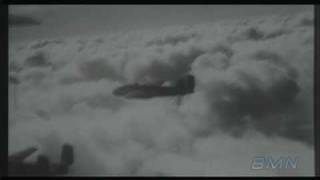 RAF Spitfires retaliate - good footage of dogfights with Me 109s. Messerschmitts crash into the snow; a German pilot bails out; one is shot down over a town; another crash-lands near a tramway. Shots of wrecked aircraft and dead pilots. The "battle of New Year's Day" is a reminder of the dangers of relaxing while the German "tiger" is still active.Video Provided & Authorized by Imperial War Museum. All rights reserved. Libellés : A B-25 back to Belgium, B-25 "Mitchell"
Kieran Lear posted: "15 June saw Old Warden aerodrome in deepest Bedfordshire stage the Light Aircraft Association (LAA) Day, bringing together a number of interesting visitors and Shuttleworth Collection stalwarts over the famous greenery of what was once the late Richard Sh"
15 June saw Old Warden aerodrome in deepest Bedfordshire stage the Light Aircraft Association (LAA) Day, bringing together a number of interesting visitors and Shuttleworth Collection stalwarts over the famous greenery of what was once the late Richard Shuttleworth's playground. Kieran Lear writes for GAR. The first in a series of films showcasing activity taking place behind the scenes before IWM London re-opens on 19 July 2014. 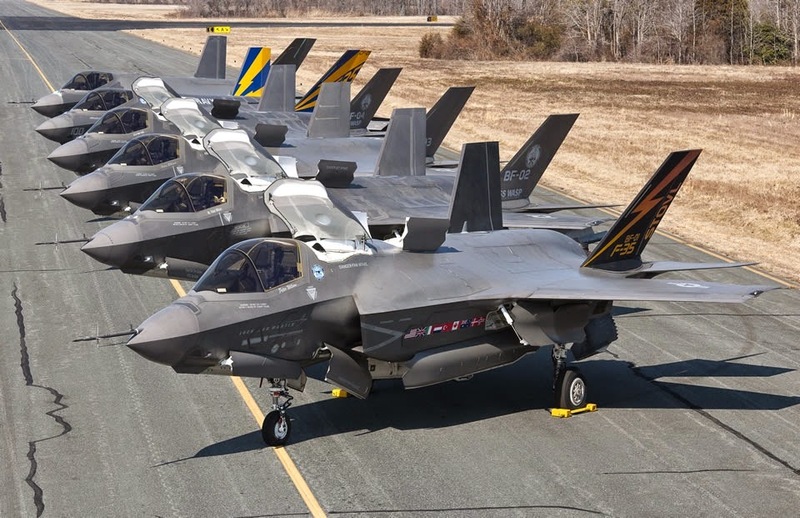 WASHINGTON: The F-35A struck by fire as it took off from Eglin Air Force Base has been secured and is under armed guard in a secure hanger and the Air Force and Marines are not flying their versions of the Joint Strike Fighter program until they know more about the fire's causes. "We will resume flying once we know more about the cause of the F-35A fire that occurred at Eglin AFB earlier this week," Capt. Richard Ulsh, a spokesman for Marine aviation, said in an email. 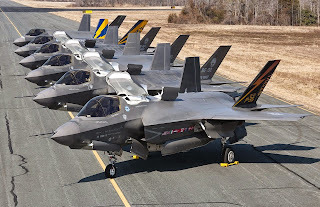 The 33rd Fighter Wing, responsible for F-35 training at Eglin Air Force Base, said Wednesday morning that its "commander has decided to continue the temporarily (sic) suspension of F-35A flights at Eglin in the interest of safety as we continue to investigate the cause of the mishap." First Lt. Hope Cronin said in an email to reporters that "We have no further information regarding the nature or extent of the damage" yet. The fire-damaged plane, under the control of Air Education and Training Command, has been secured as if it were a production aircraft and this was a problem unlikely to affect the rest of the F-35 fleet. This is the first time all the commands and services have grappled with a potentially serious flight incident and it seems pretty clear from what I've heard that no one is sure what the protocols are for a plane that is both in the test phase and in low rate production — call it the curse of concurrency. The difficulty is that AETC's conduct — which appears to be exactly by the book and is designed to ensure that no one else can influence the investigation — means that neither the other services nor the Joint Program Office know much about what has happened to the aircraft. Compounding this is the fact the Frank Kendall, head of Pentagon acquisition and the one man who could untie this knot with a single memo, is on vacation. Meanwhile, the JPO and the Air Force's 33rd Fighter Wing, the Marines and the Navy know almost nothing about what happened to the aircraft. It sounds as if someone at Kendall's office of acquisition, technology and logistics (ATL) may need to ensure that data, photos and other information from the aircraft is shared by AETC so that if there is a systemic issue that may affect the fleet everyone can know it as quickly possible. Readers who may be wondering why you haven't seen the word grounded should know that grounding has a specific meaning for the military and these aircraft have not been grounded — yet. Grounded means the plane won't fly until further notice or the specific conditions that led to the plane being banned from flight is found and fixed. So far they're expecting to get the planes back in the sky as soon as they have some idea as to the fire's cause. A congressional aide who follows the program said today that Hill staffers had received little new information from the services or the Joint Program Office about the plane's condition. The assumption is that a problem with the F135 engine, made by Pratt & Whitney, caused the fire. And the engine's core is the likeliest place for such a problem. The program does not yet have an initial damage assessment. My understanding is detailed photos of the aircraft have not yet been received by the authorities. Authorities are choosing subject matter experts to staff the Safety Investigation (SIB) and Accident Investigation boards (AIB) to identify the accident's causes and any measures need to protect the fleet and its pilots. The SIB should convene "within days" and is expected to produce an assessment within 30 days.The AIB, said a program official, will begin "its investigation as soon as it can do so without interfering in the SIB investigation." It should be done in 60 to 90 days. Unless there are classified or personnel issues most of the reports should be released. You do not have so much money to run a Museum ? You have dedicated highly motivated volunteers ? You have aircraft to show ? You want to share the passion for aviation ? 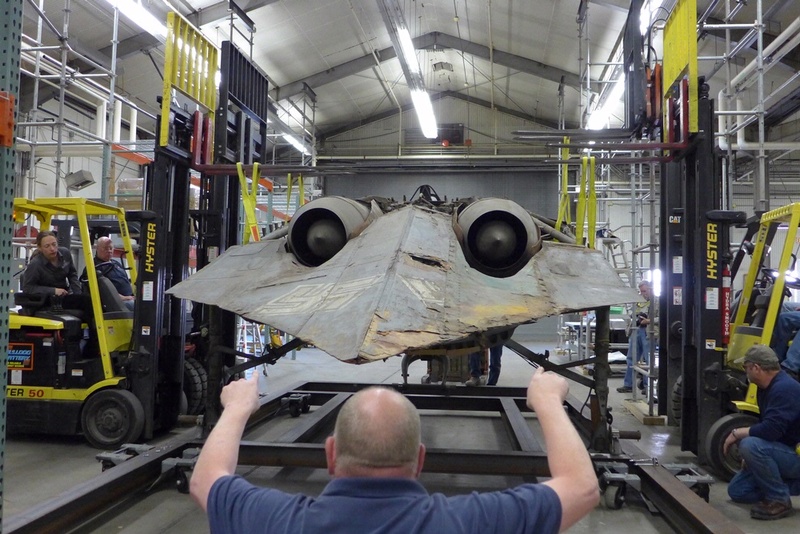 You want to have the public supporting your efforts and teenagers to be aviation minded ? This is not so complicated, just follows successfull stories and stop to hope someone else will do it for us. Of interest : The queen mary trailers (designed for the Royal Air Force before WW2) are still in use. In Belgium, these magnificent devices were used in the past to transport vintage aircraft to the Museum in Brussels. Dean West posted: "Every two years the Royal Danish Air Force opens the gates to one of its bases, inviting the public in to see what happens on the other side of the fence. This year it was the turn of Karup, home of the RDAF's rotary fleet, to host the Danish Air Show, an"
Every two years the Royal Danish Air Force opens the gates to one of its bases, inviting the public in to see what happens on the other side of the fence. This year it was the turn of Karup, home of the RDAF's rotary fleet, to host the Danish Air Show, and it took place on Sunday 22 June 2014. Dean West made the trip across the North Sea for GAR. Le consortium NHIndustries a livré hier son 200ème NH90. Il s'agit d'un hélicoptère de type TTH (Tactical Transport Helicopter) réceptionné par l'armée belge sur la base aérienne de Beauchevain. En tout, la Belgique a commandé quatre NH90 TTH, mais aussi quatre exemplaires de la version navale de l'appareil, le NH90 NFH (Nato Frigate Helicopter), afin de remplacer sur la base de Koksijde les Sea King dédiés aux missions de sauvetage mais aussi de pourvoir les frégates Leopold I et Louise Marie en hélicoptères modernes. Le premier NFH belge a été livré en août 2013, les forces armées du pays disposant désormais de cinq machines. Pour ses 80 ans, l'armée de l'Air a mis les petits plats dans les grands offrant sans doute le plus beau spectacle aéronautique de l'année sur la base de Cazaux, en Gironde. Beaucoup de choses à voir et à entendre, avec ci-dessous un échantillonnage totalement personnel. Memorial Flight added 4 new photos. Another article on the Horton…. Lettre du Moynet n° 9. Solar Impulse : Revivez le Premier Vol! Video: "Hommage au Mirage F1"
Video: "World War II In Colour 3/6 - Air War"
Video "Poux du ciel et autres oiseaux mécaniques"